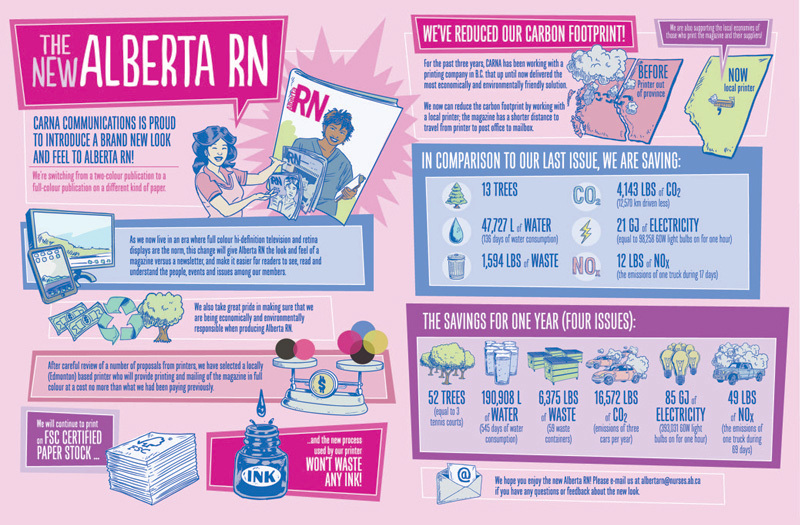 The College & Association of Registered Nurses of Alberta (CARNA) wanted to show the positive effects of their new printing process on their Alberta RN Magazine publication. Not only did they get the bonus of a full colour magazine, but they greatly reduced their carbon footprint. This info-graphic illustration pulled from CARNA's lovely pink/purple palette and utilized an ink pen illustration style. We also created a vertical version for sharing on social media like Pinterest.